Makrana is a municipal council and a tehsil in the Nagaur district of Rajasthan, India. There are more than 136 villages under Makrana tehsil, making Makrana one of the biggest tehsils in Nagour District. Makrana is famous for the white marble taken from the mines around it. Makrana marble is a high quality type of white marble for use in sculpture and building decor. 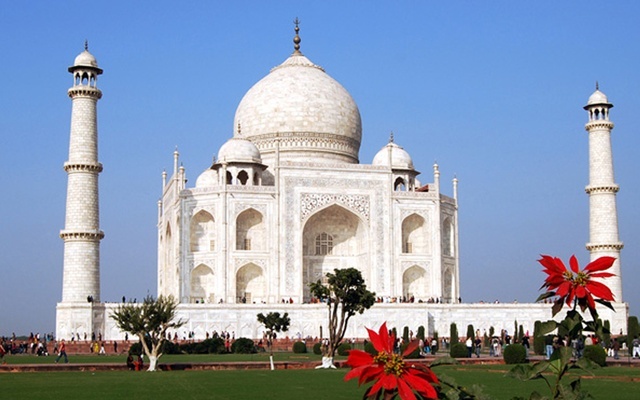 It is mined in the town of Makrana in Rajasthan, India, and was used in the construction of several iconic monuments such as the Taj Mahal and the Victoria Memorial in Kolkata. Makrana is regarded as the oldest place in India with a marble quarry. Upon mining, Makrana marble is not subjected to any form of treatment, but used in cutting and chiseling straight away. Makrana marble is one of the two calcitic marble varieties in India, with all others being dolomitic. It has two varieties: white and albeta. The quantity of marble reserves in the region is estimated to be 55 million tonnes by the state government. About 120 thousand tones of the marble are produced annually from over 400 mines in the region. 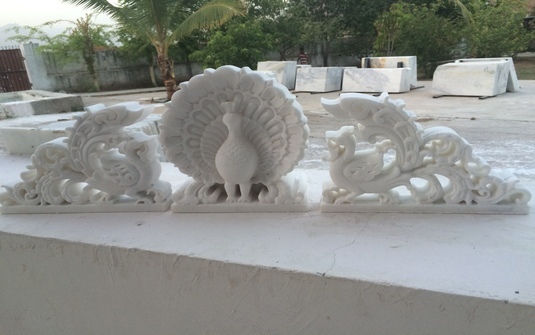 Makrana marble has high percentage of calcium and is therefore resistant to water seepage. 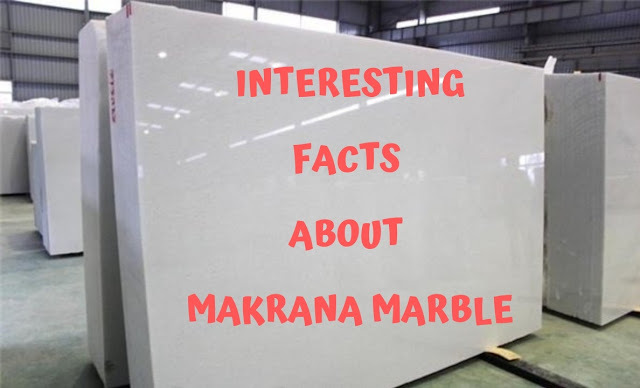 The water absorption of Makrana marble is said to be the lowest among all types in India, and the marble is claimed to contain 98 percent of calcium carbonate and only two percent of impurities. In the Makrana area, marble is found as five steeply-dipping bands. They form part of the Ajmer Formation of the Delhi Supergroup, which is a sequence of sedimentary rocks that was deposited in the Delhi Basin during the Proterozoic. About 1450 Ma (million years ago) these rocks were affected by the Delhi Orogeny, causing the metamorphism that transformed the original limestone’s to marble and the folding that caused the steep dip and the current outcrop pattern. This marble stone is a calcite stone. It is a milky white marble and also available in grey and panther brown pattern. The stone is available in various forms such as natural blocks, large & small slabs, and regular tiles. Dungri Marble is one of the oldest and finest quality marble of makrana based mines. This stone is widely used in flooring, and wall cladding due to its special qualities like no chemical reinforcement, no color changes, and no pin holes. Makrana marble was chosen over various other European types in the construction of the Victoria Memorial, after several tests concluded Makrana marble to be superior. 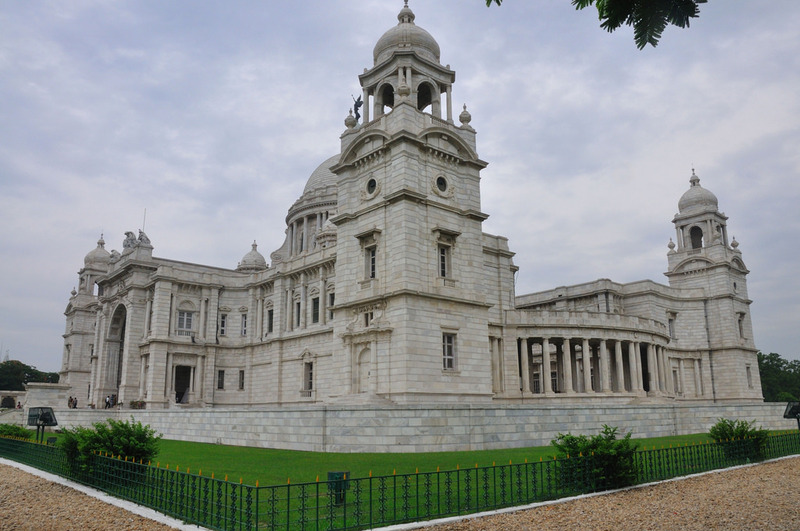 Sir Thomas Henry Holland, a British geologist, was given credit for recommending the use of Makrana marble in the construction of Victoria Memorial. Marble from Makrana, Rajasthan is exported overseas mainly to the Persian Gulf countries, the European Union, Southeast Asia, Canada, Pakistan and Russia. In India, it is mainly used for handicraft and sculpture work, apart from construction of buildings. Makrana marble was given the geographical indication status in 2015 by the Geographical Indication Registry, Chennai.